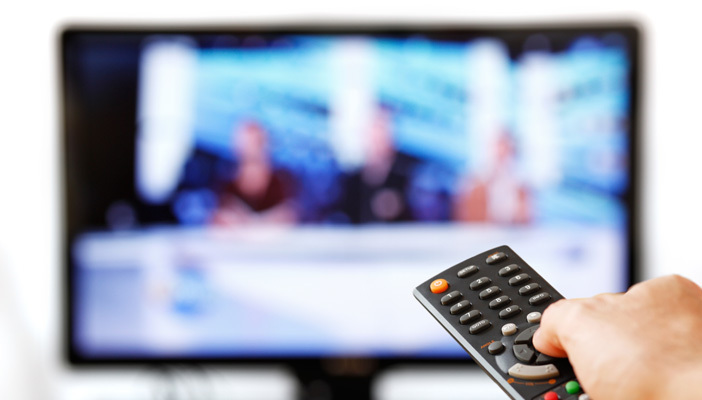 RNIB is disappointed with the Government’s decision to not make audio description a legal requirement for TV shows available on video-on-demand in the UK. Last month, the Culture Minister, Ed Vaizey, wrote to RNIB to say that following a review of the last three years, he was satisfied “good progress” had been made to accessibility services of video-on-demand. RNIB has been working with Sense and Action on Hearing Loss to urge the Government to make audio description (AD), subtitles and signed content a legal requirement for video-on-demand content. For people with sight loss, AD is important in explaining what’s happening on screen when there’s no dialogue during a programme. Charles Coyle, a Trainee Project Assistant with sight loss from Greater London, said: “I really enjoy watching documentaries and films. But I’m missing out on some of my favourite shows because I'm not free when they're on TV and I’m unable to watch them on catch-up services at my convenience without audio description. I would very much like to see this situation change in the near future and am sure that many people would benefit immensely from developments in this area." Many programmes which have AD when first broadcast on TV are not made accessible when put up on catch-up websites. An example would be the case of Sky who broadcast the hit show, Games of Thrones with AD, only for the AD to drop off when the programme appeared on Sky Go, Sky’s catch-up service. Currently, the channels offering AD services are Channel 4’s All 4, Sky’s Sky Go, ITV’s The ITV Hub and Channel 5’s Demand 5. But the number of shows with AD hosted on the demand websites varies from 0.4 per cent to 16 per cent. The way we consume TV in the UK is changing, and quickly. An Ofcom report from 2015 showed in the first half of 2010, just over one in four adults aged 15 and older watched video-on-demand, but by the second half of 2014, the figure had doubled to almost six in ten. The figure is even higher among audiences aged 25-34 years old. Like sighted viewers, blind and partially sighted people enjoy watching TV, and research shows that they watch as much TV, or more than, sighted viewers. In 2006, research carried out by the University of Birmingham found that 87 per cent of blind and partially sighted people regularly watched TV and videos or DVDs. The charity VocalEyes, has been describing theatre shows in London and around the country since 1998. Find out more about audio described theatre shows. What is AD and how does it work? Download a guide from RNIB.